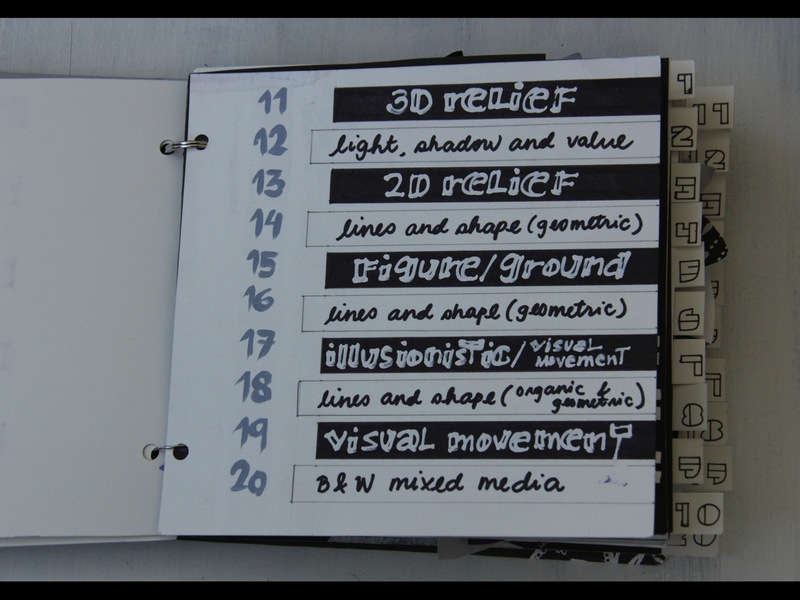 The individual assignments examples below demonstrate a good variety but also offer different levels of strengths and different levels in the execution of ideas. 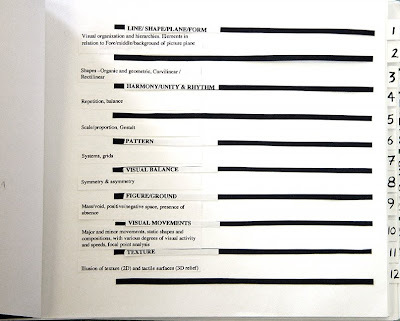 If people have any questions about the text or require clarification about the specific strengths in the following individual examples please consult instructor. 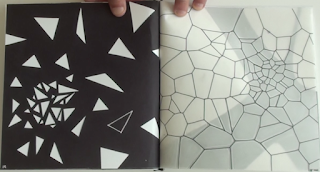 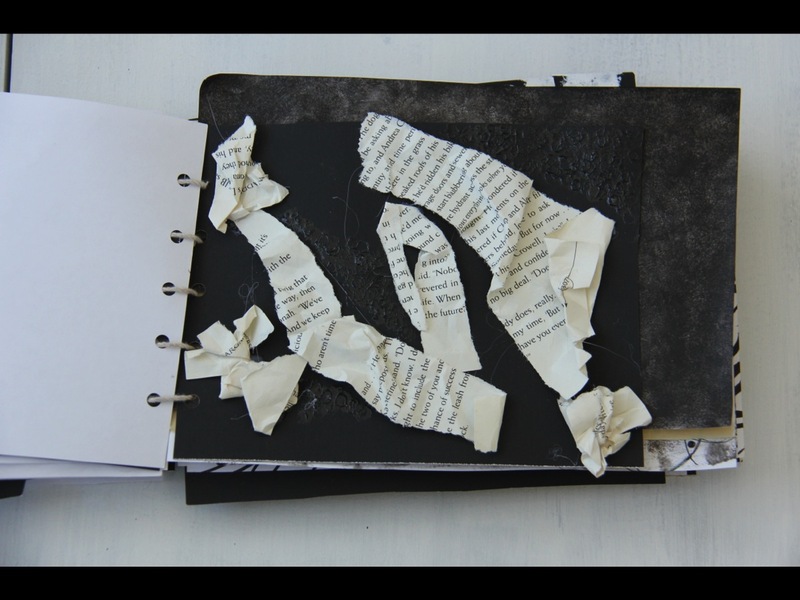 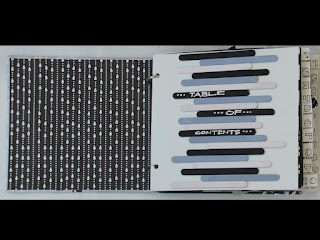 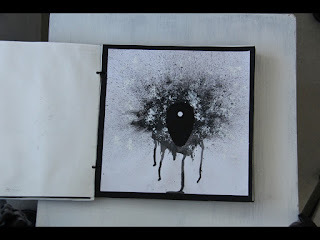 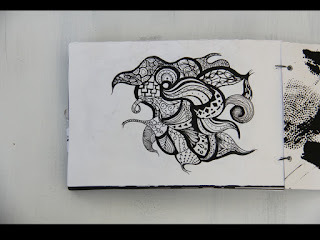 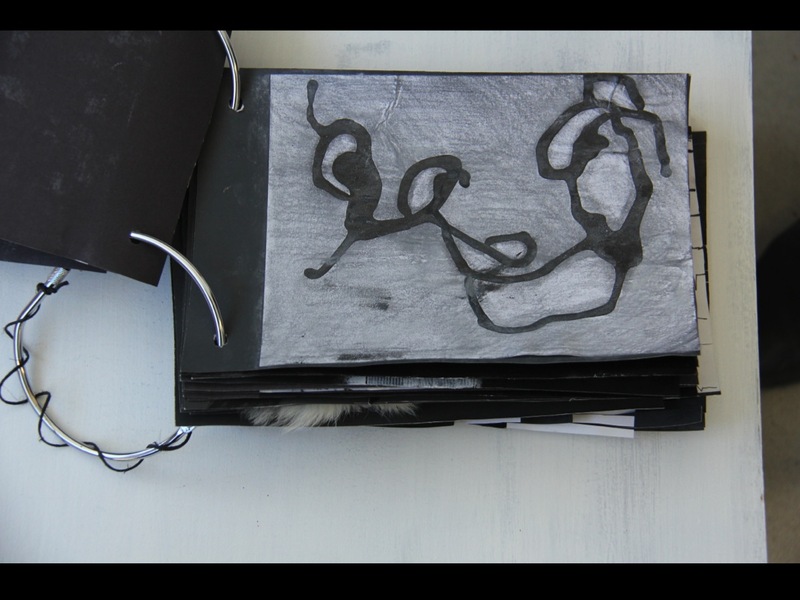 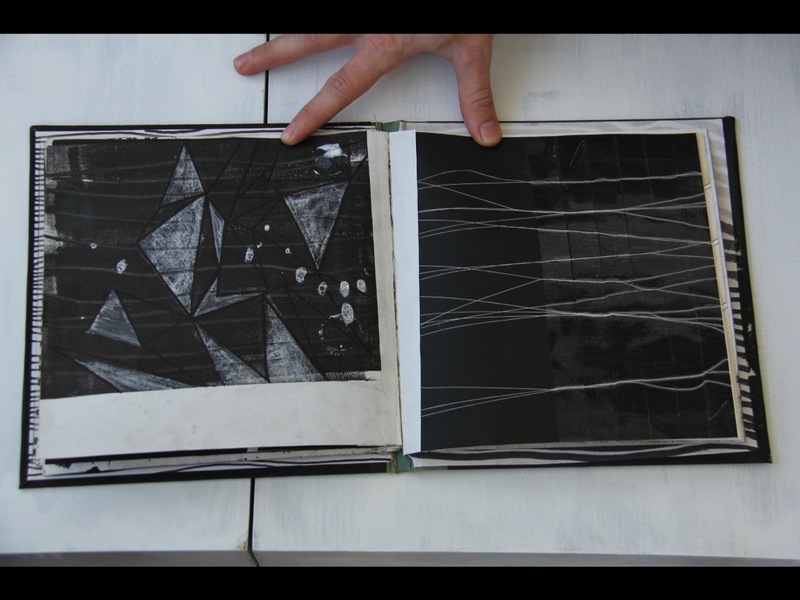 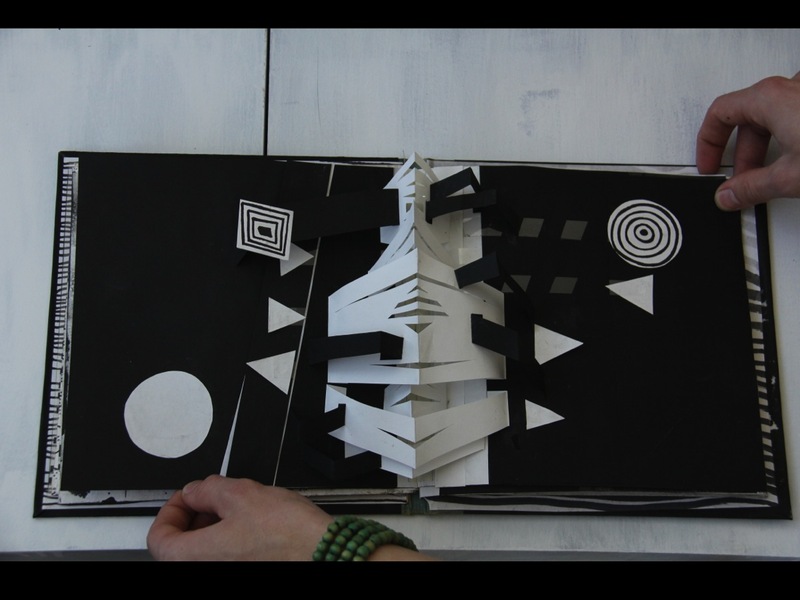 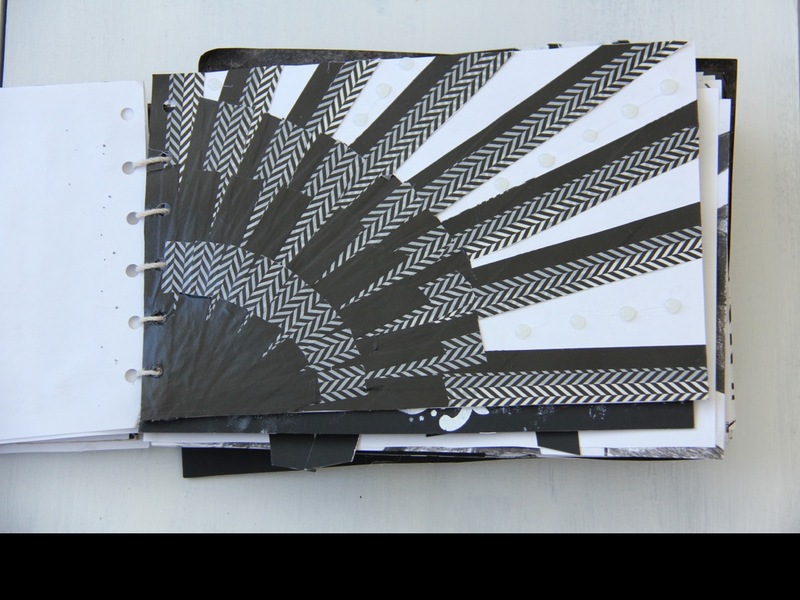 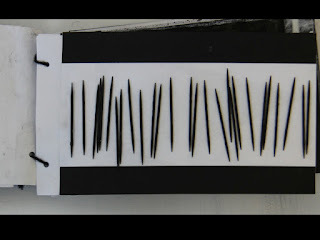 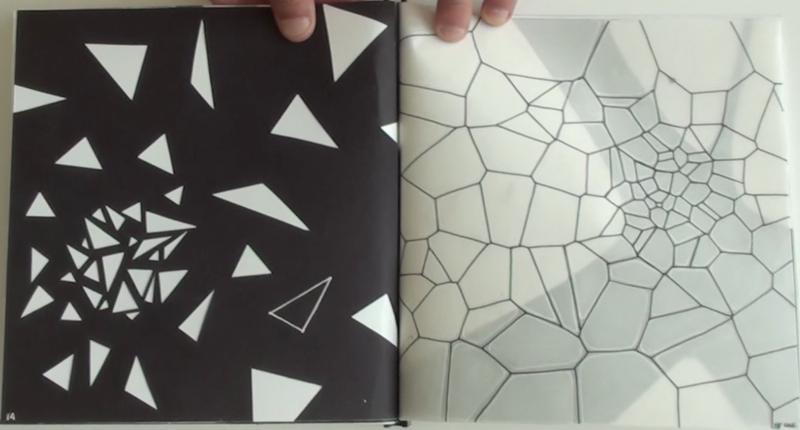 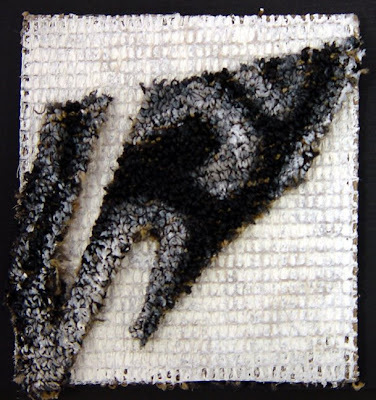 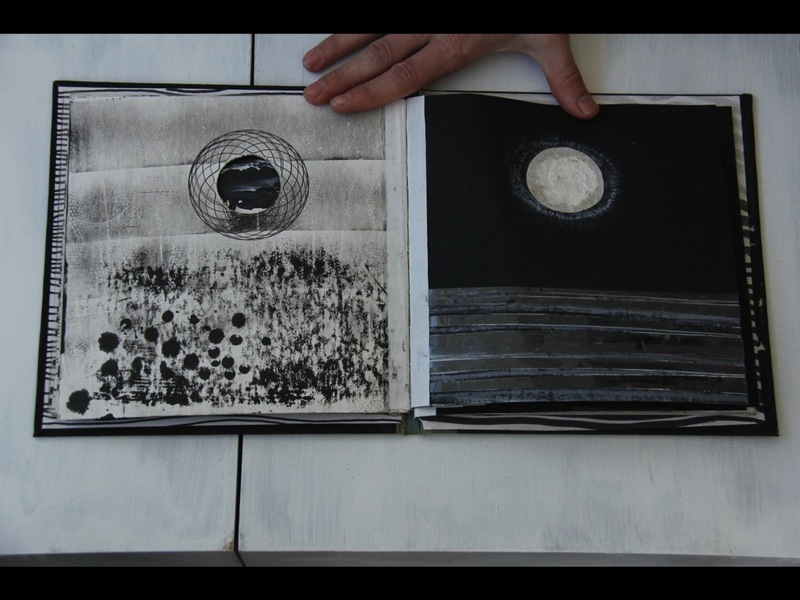 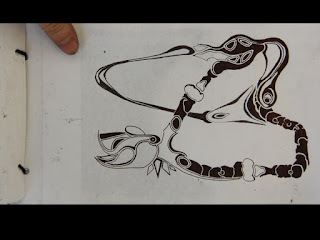 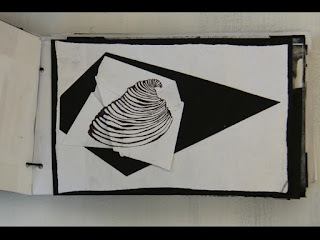 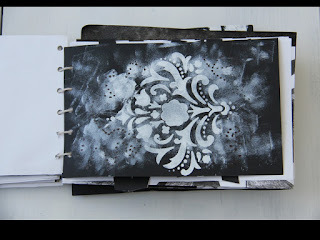 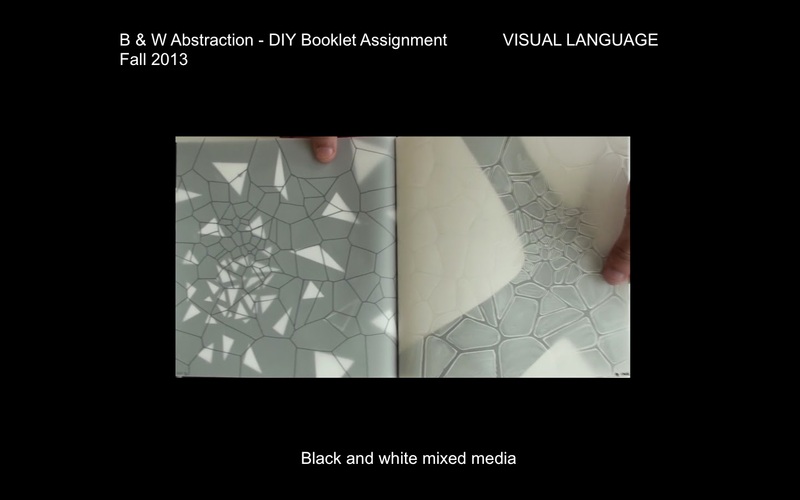 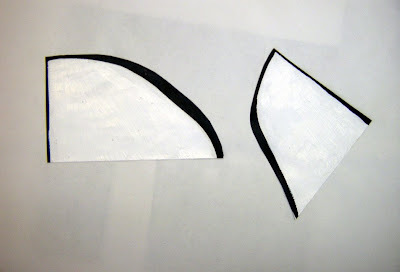 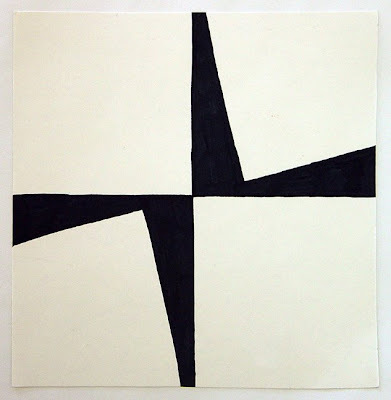 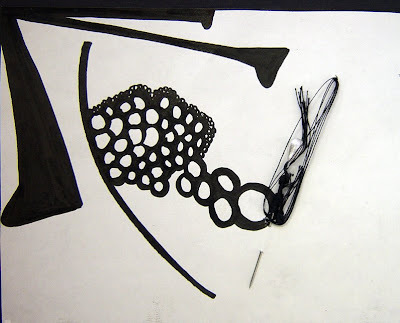 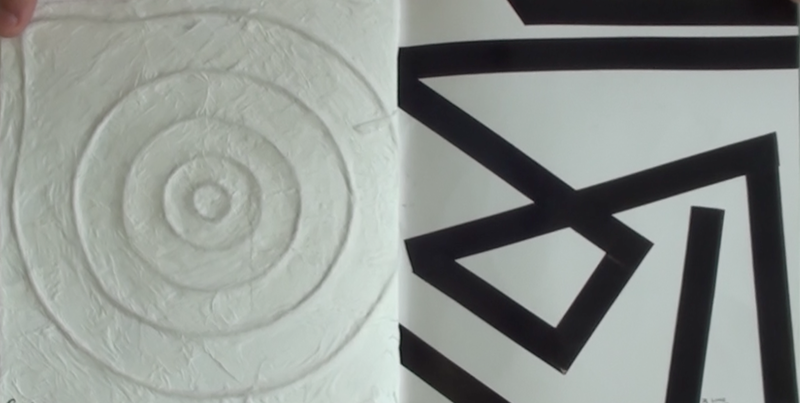 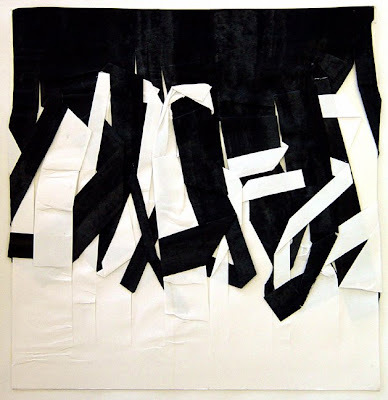 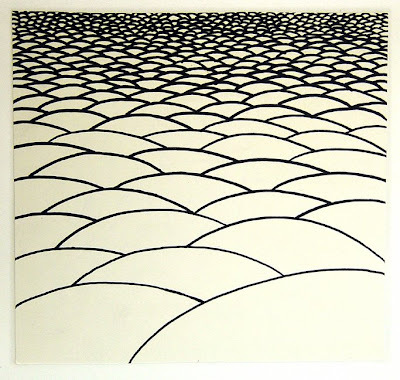 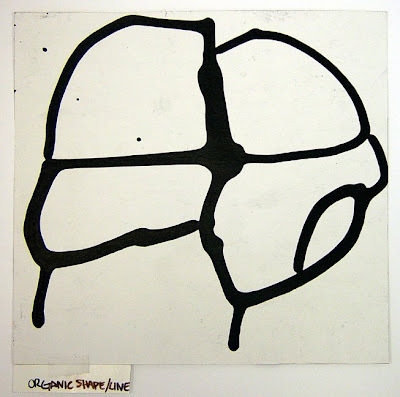 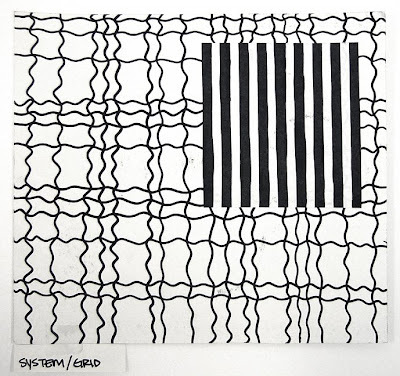 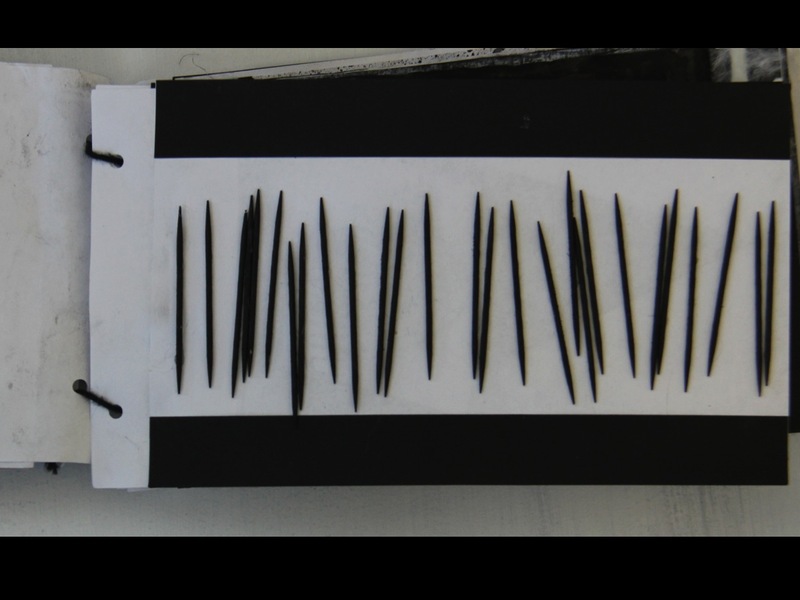 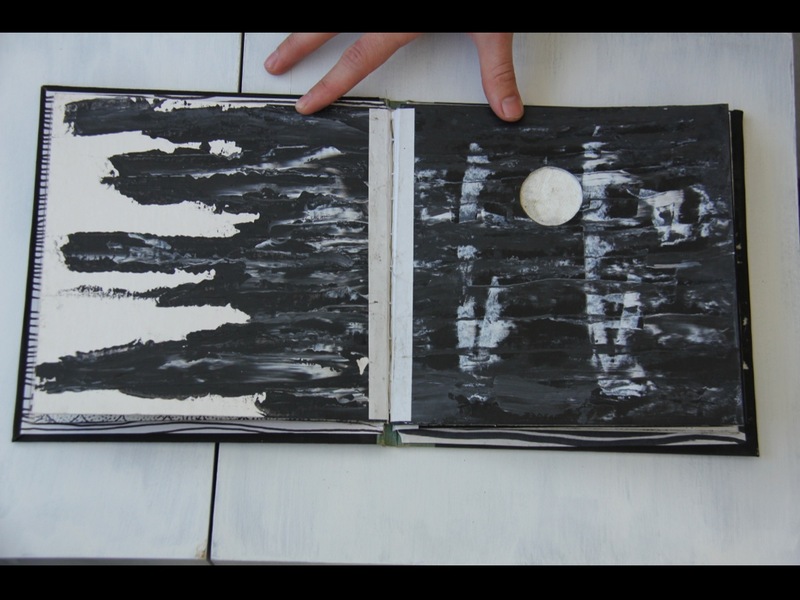 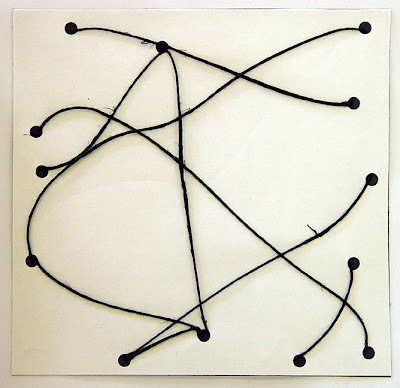 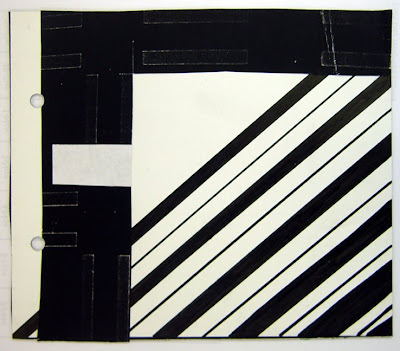 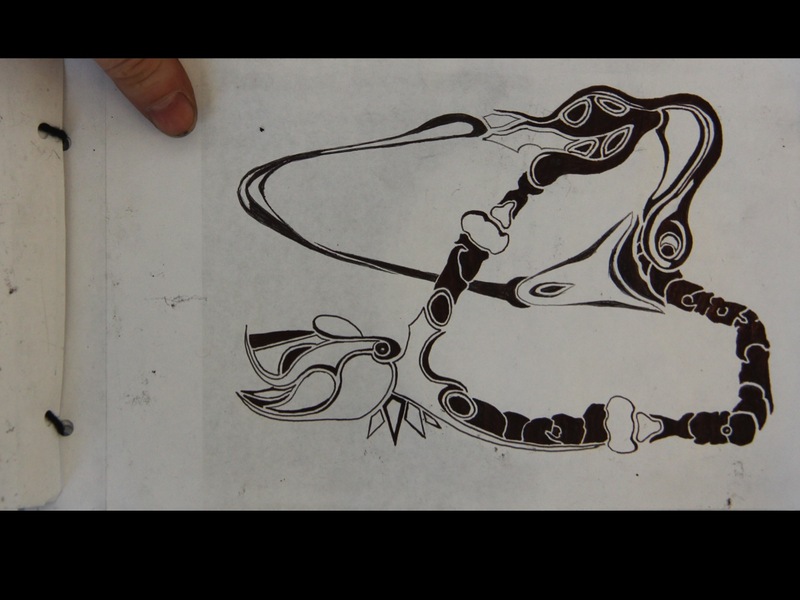 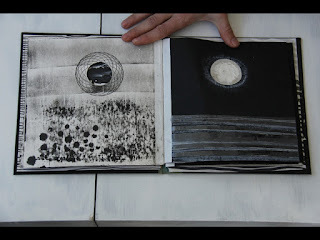 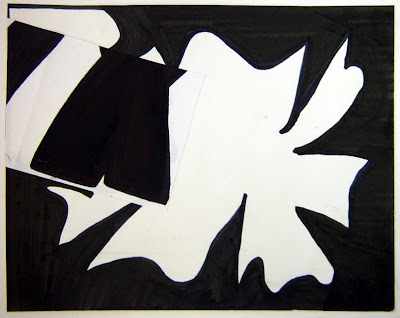 The Black and White Abstract DIY Booklet Assignment will require using a variety of 2D art materials and periodically relief (3D art materials) with individual pages that will be sequenced together to present a booklet. 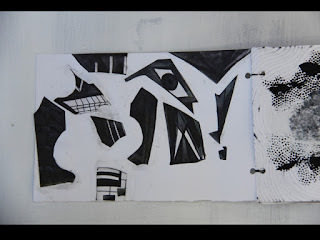 Collectively this assignment will emphasize various implications of space (flat space to illusions of deep space), compositional strategies, physicality of materials and overall innovative use of materials. Editing individual pages and overall assignment will be inevitable! 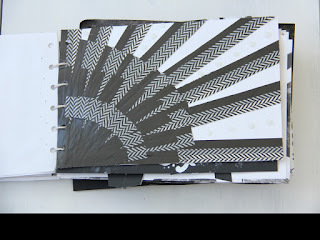 Black and white paper (for collage or surfaces for wet and dry media), black and white paint, black & white markers, black & white string, or any other materials which are black or white. 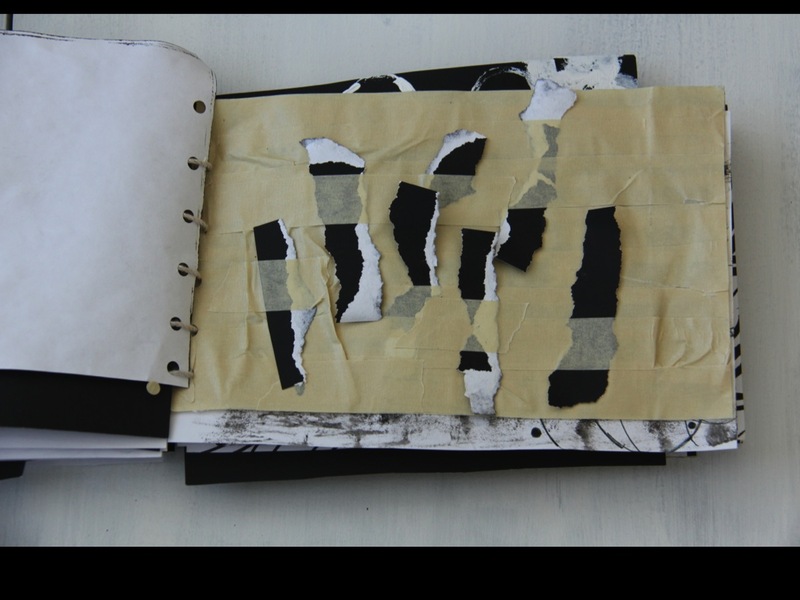 7) Variety in the use of material and sensibilities- explore a combination of controlled/precise and expressive/experimental use of materials. 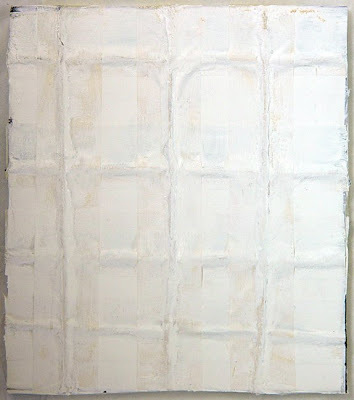 Collectively and on many individual pages assignment should include a combination of wet and dry art materials. 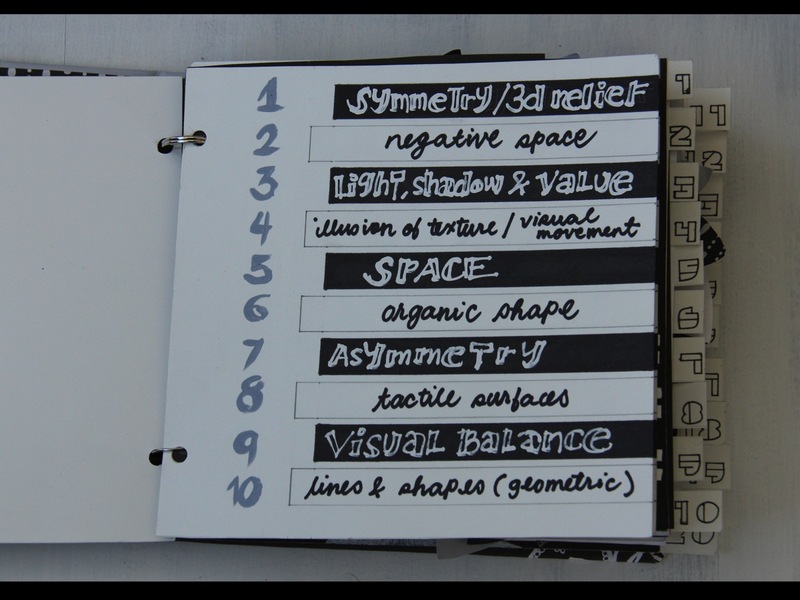 Many of the ideas presented in the above points can overlap with each other and can simultaneously be presented in a variety of ways with in a single page. 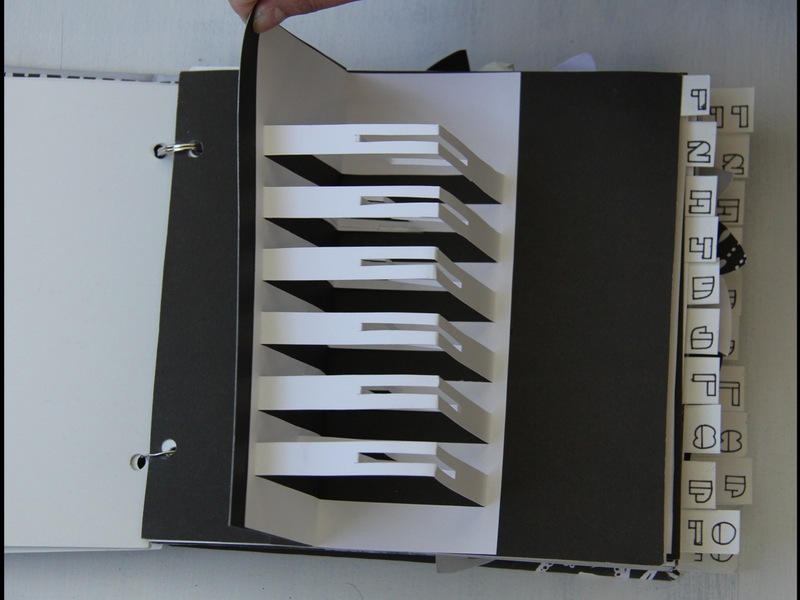 Make sure all the above ideas are collectively presented in the booklet's pages in some way. 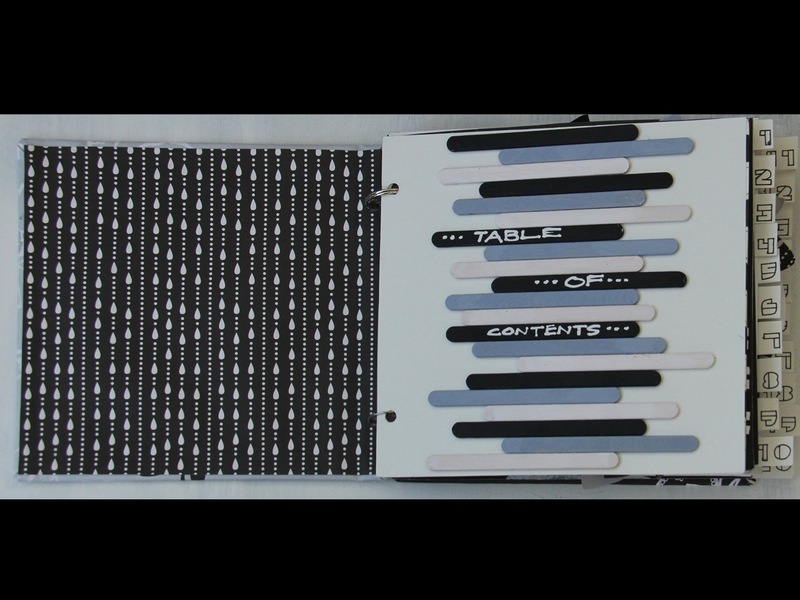 10 double sided pages together plus a cover (include table of contents as page 1 of the 10 double sided pages) Presenting 20 single sided pages is also an option. 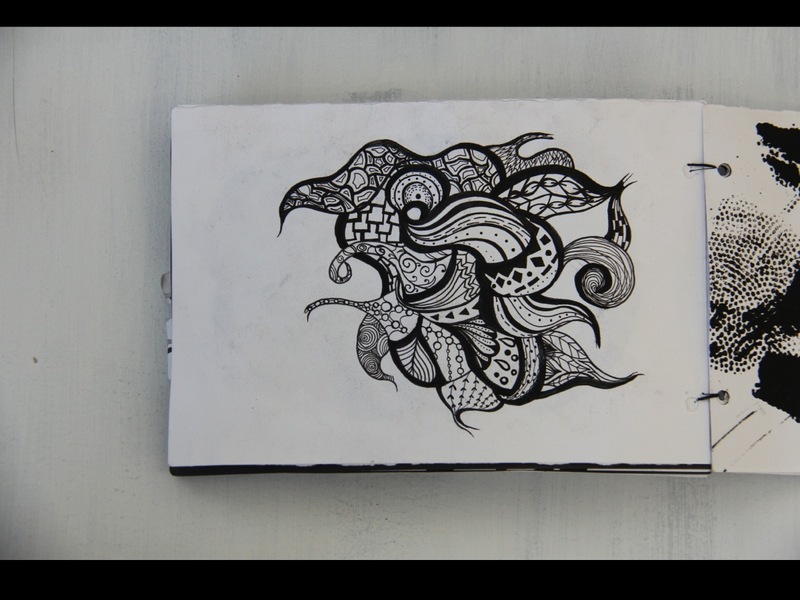 Either way there needs to be 19 individual pages of art work. 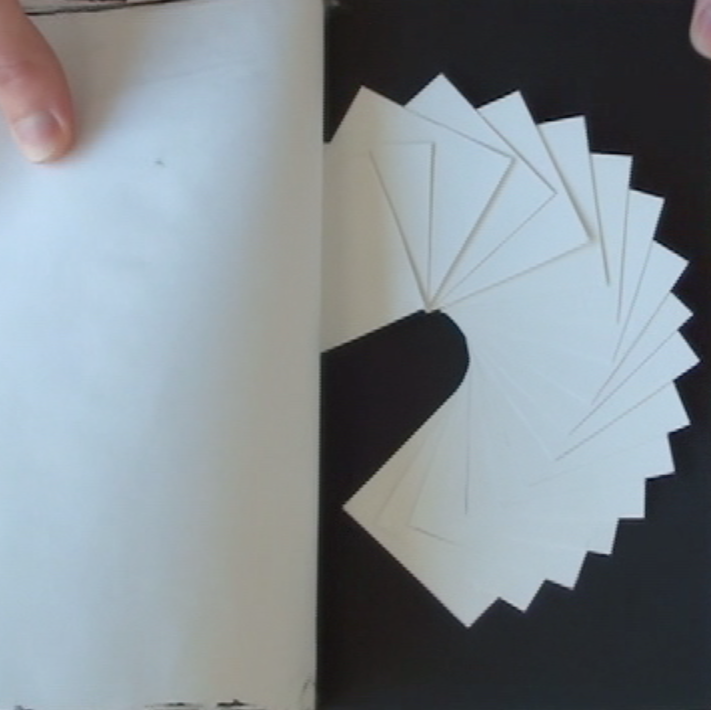 Labels for Individual Pages: Number pages in a way that do not disrupt the design of the individual pages. 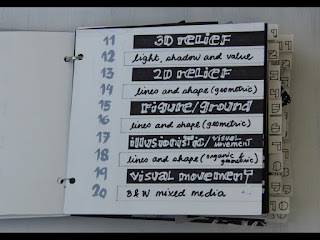 Briefly Label each page referencing ideas from the points listed above or list these points in the table of contents. 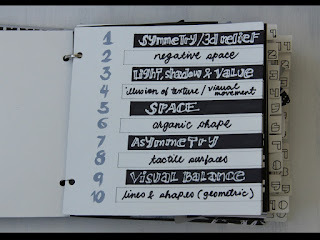 Consider what each page emphasizes in terms of the above points. 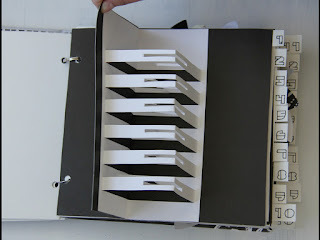 Make sure the booklet can be easily flipped through. Cover materials may include: fabric, tape, cardboard, illustration board, foam core, thick paper, and acetate. 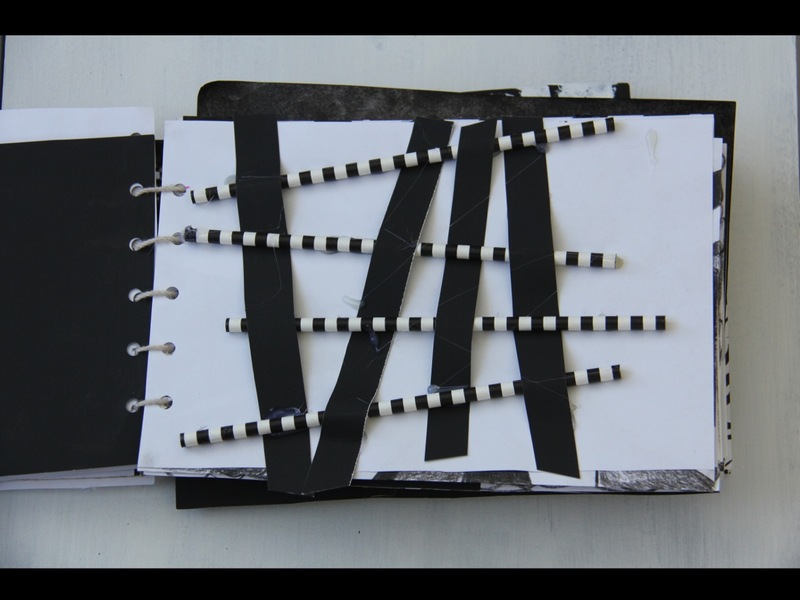 Research potential homemade binding methods on line or in books at the Architecture/Fine Arts Library. Use a method of binding that allows for some technical growth but does not become overwhelming. 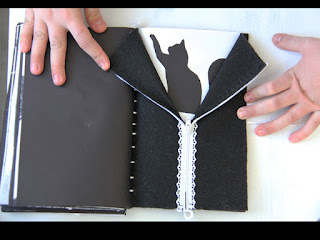 Here again which ever combination of options and materials used for the binding and cover consider the over all visual language of those material choices and techniques in the overall design. Consider how the sequence/order of the pages is viewed as a person flips through the book. 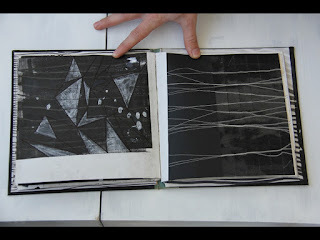 What are the visual rhythms or relationships from page to page as a person looks through the book? How and where is the best context for the pages with the complex compositions and where are the best places for the more minimalist compositions? 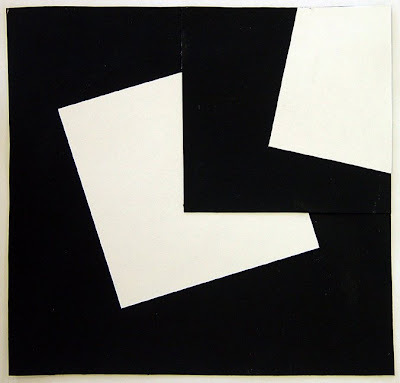 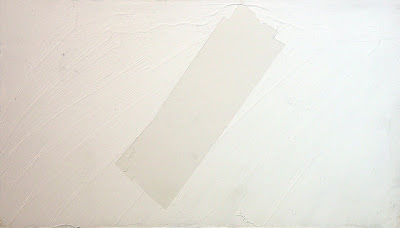 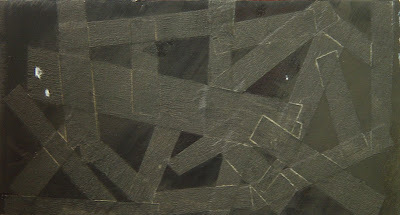 Are there too many minimalist compositions and or do many of the compositions require more overlapping or interaction of shapes and materials? 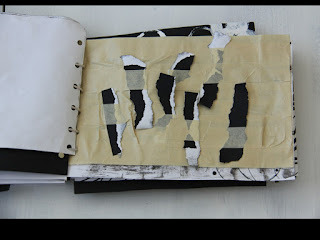 What pages require editing? 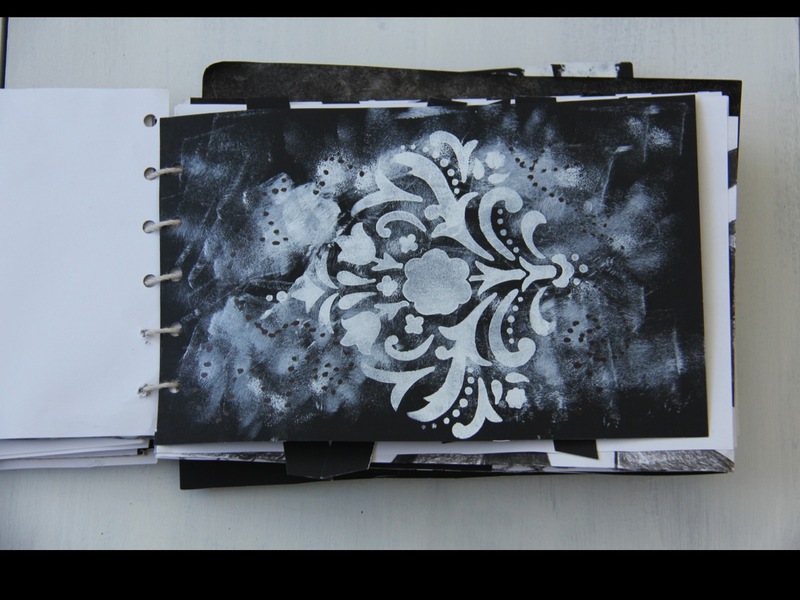 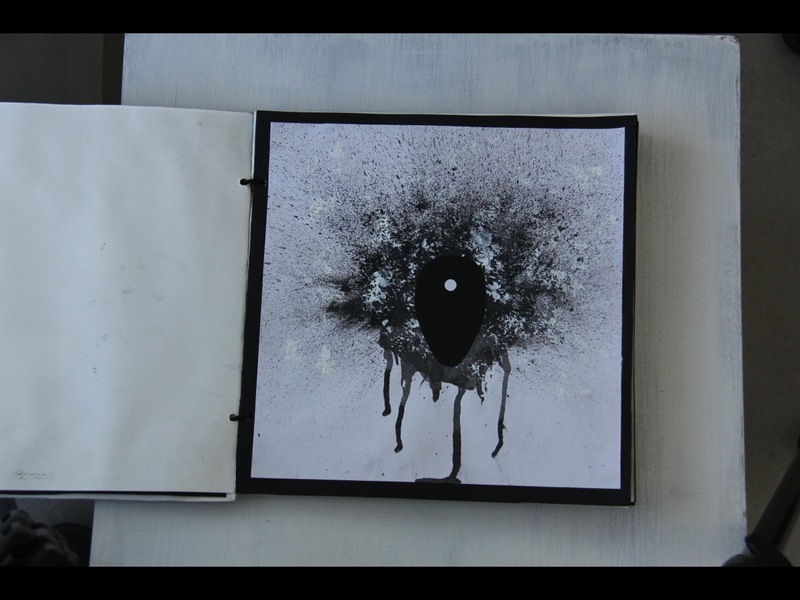 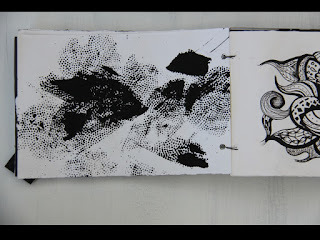 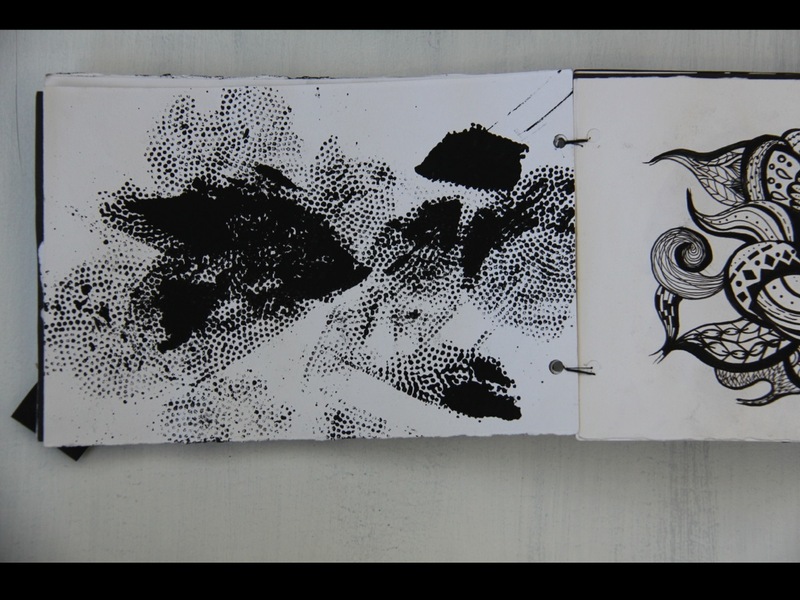 collectively and at times on individual pages the booklet should include a combination of wet and dry materials with various black and white mediums and materials. Overall this assignment will emphasize various use of space, compositional strategies, physicality of materials and innovate use of materials.